Following a couple years of negative but often inconclusive research findings about "artificial" color additives, the value of natural colors surpassed that of artificial/synthetic colors globally in 2011, the first time that's occurred. 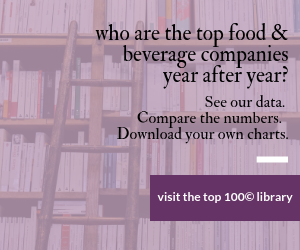 Although the numbers are from 2011, the report was just released this February by market research firms Mintel Group and Leatherhead Food Research. It reveals that, in 2011, global sales of natural colors amounted to an estimated $600 million, up almost 29 percent from 2007 and demonstrating annual growth in excess of 7 percent. Growth did continue within the artificial/synthetic colors segment, but at a more modest pace. Value sales increased by less than 4 percent between 2007 and 2011. The segment is now worth an estimated $570 million, according to the researchers. The share of the total food colors market taken by natural varieties has increased from just over a third (34 percent) in 2007 to nearly 39 percent in 2011. In that same time period, artificial/synthetic colors dropped market share from 40 percent in 2007 to 37 percent of the overall market. "The results of the Southampton Six study has really accelerated the move toward natural colors in Europe, but other regions are also following suit as the consumer demand for more natural formulations builds and as key producers and retailers look to phase out artificial ingredients," says Chris Brockman, senior global food and drink analyst at Chicago-based Mintel. The food industry alone accounts for a 70 percent share of the natural food colors market compared to 27 percent for soft drinks and just 3 percent for alcoholic beverages according to the Mintel and Leatherhead Food Research report. Furthermore, according to the research, the use of natural colors in new launches of food and drinks outweighs the use of artificial/synthetic colors by 2:1 on a global basis. The report also highlights significant differences between regions in their migration to the use of natural colors. Europe has moved strongly toward the use of more natural colors, and leads the way globally, overall using them in 85 percent of new product launches between 2009 and 2011. The Asia Pacific region used natural colors in 67 percent of launches during that time, the Middle East & South Africa came in at 59 percent and North America and Latin America were lowest at 50 percent. Overall, the global market for food colors was worth an estimated $1.55 billion in 2011. This represents growth of 13 percent from 2007. However, current average annual growth levels are 2-3 percent, down from the 4-5 percent experienced throughout most of the previous decade. "Much of this slowdown in growth can be attributed to the global economic recession, and its subsequent effect on consumer expenditure on many sectors of the global food and drinks industry, as well as the continued decline in demand for artificial/synthetic food colorings," says Brockman. The report predicts that the trend toward greater use of natural colors will continue, especially within premium food and drink segments and in products positioned for children. Rachel Wilson, principal technical advisor at Leatherhead Food Research, said: "The drive for natural food formulations will endure in the global food and drink industry as consumers continue to seek simplicity and purity in food and drink ingredients lists. The use of natural colors in new food and drink launches will thus continue to outpace artificial colors globally in the foreseeable future." To buy the full report, see store.mintel.com/food-colours-international-february-2013. All of this is no surprise to suppliers of color additives. "We see our natural color science quickly closing the gap with synthetic color technology every day," says Mike Geraghty, president of the Color Group at Sensient Technologies Corp., St. Louis. He adds his company offers solutions to make the transition to naturals easier, including: heat-stable natural colors, aluminum-free natural colors with plating characteristics, dust-free natural color powders, titanium-free natural opacity agent, and its Advanced Emulsion Technology line with no-color bleed and carmine replacement red shades. All these changes are due to three significant changes in the landscape, according to Roee Nir, global commercial manager of color and flavor at LycoRed Ltd., with U.S. headquarters in Orange, N.J.
"First, consumers are increasingly aware of potential health risks associated with the consumption of artificial colors. These risks received substantiation with the decision of the [European Food Safety Authority] to force labeling on the ‘Southampton Six' colors --sunset yellow, quinoline yellow, carmoisine, allura red, tartrazine and ponceau 4R," says Nir. "Second, food and beverage manufacturers have discovered that while natural colors can pose potential challenges in terms of stability, processing and higher costs, having access to this growing health conscious consumer base offers a positive case for making the switch. "Third, color manufacturers such as LycoRed have focused their product development on addressing the challenges by improving the stability in formulations, in multiple food and beverage applications," Nir concludes. "LycoRed made the strategic decision to focus on carotenoids and developed competitively priced, highly stable natural red, orange, and yellow colors -- stable in terms of light, pH, and temperature." Kelly Newsome, spokesperson at GNT USA, Tarrytown, N.Y., opens a different can of worms. "The question really is, ‘What is a natural color?' Formulated colors such as caramel color and nature-identical colors such as beta-carotene are bundled together in this data with truly natural colors, such as coloring foods, which are made with edible fruits and vegetables and processed without chemical solvents. Based on our international trend analysis, coloring foods are on track to become the dominant choice for natural color solutions worldwide."